Not visiting the Galapagos Islands while I was in Ecuador is my biggest travel regret. My strict budget didn’t allow me the luxury. Luckily, my journey through the continent still provided plenty of wildlife experiences. From the tiniest insects of the Amazon, to the horses of Argentina’s cowboy country, South America isn’t short of an animal or two. However few people are aware of the Ballestas Islands. Only a short ferry ride from the coast of Peru, day trips are easily affordable from the nearby town of Paracas. Sightings of dolphins, whales, seals and all manner of birds are practically guaranteed. So much so that colourful ponchos to protect visitors from the infamous guano (poo, in layman’s terms) are a must-have accessory. After several weeks following the Pacific Ocean southwards from Punta Sal, through deserts, ruins of ancient civilisations and countless glasses of Pisco Sours (the drink that puts the nearby provincial capital of Pisco on the map) I donned my poncho and boarded a boat to explore Peru and its animals from a new angle. The islands have become known as ‘The Poor Man’s Galapagos” and in my opinion it was the perfect term. As a pauper myself, I was pleasantly surprised to spot dolphins arching their glossy backs through the water before I had even left the harbour. 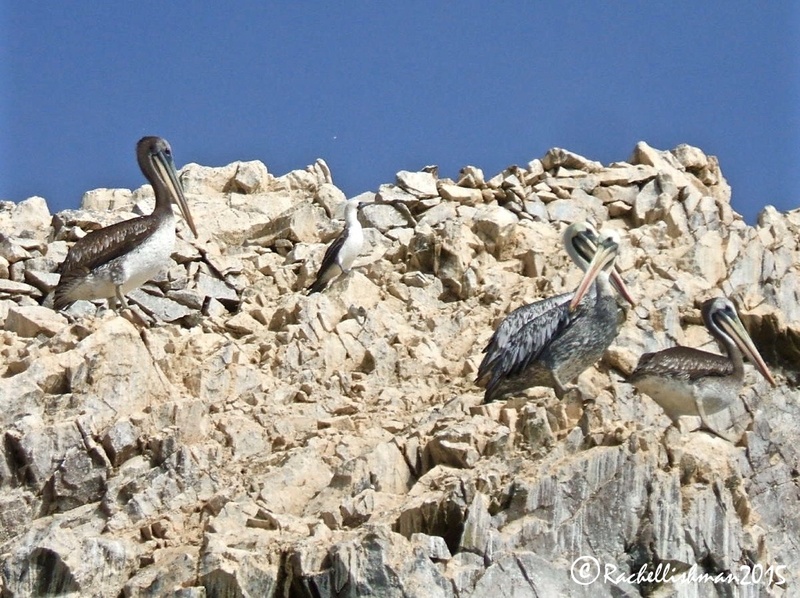 Above, well-fed pelicans bobbed and swooped among the local fishing boats that were bringing in the daily catch. 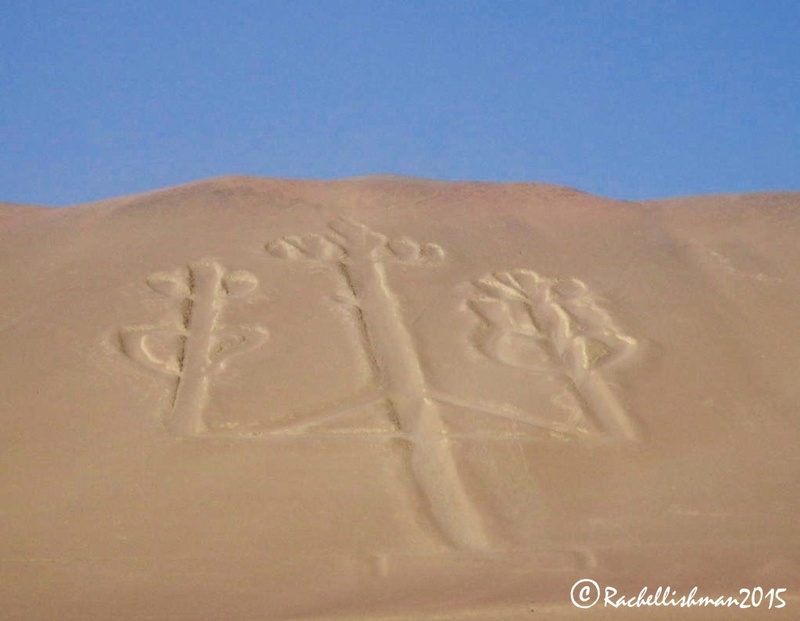 Once at sea, I breezed past the Paracas Peninsula and its renowned candelabra etching, thought to be an ancient warning notice to sailors. The merits of sand art as a warning mechanism escaped me and I was still pondering this as my surrounds suddenly became hectic with the mating, fighting and general chatter of life. 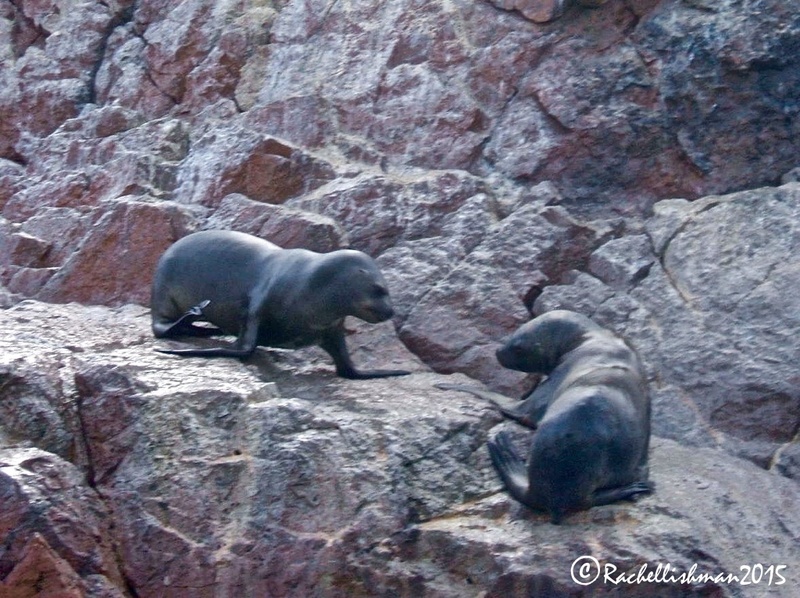 The boat turned a corner behind high rocks to unveil coves laden with Humboldt penguins, sea lions, egrets and it seemed, anyone else who could jump up and fit on! My flapping poncho was invaluable as flocks of large seabirds sailed overhead to eventually settle in breeding colonies on the jagged cliffs above. The noise of these settlers was deafening; a melee of hormone fuelled squawks and broody birds that drowned out any attempt at human conversation. While very much secondary visitors to the islands, humans do have an occasional presence: The guano that can so readily ruin tourists’ clothes is also extremely useful as a fertiliser. In fact, several islands along Peru’s coastline feed the market with untold amounts of bird dung every year. Some brave souls draw the short straw of harvesting, and can sometimes be found hanging from ladders scraping layer upon layer of congealed poo from the steep cliffs. Excreta aside, it was inevitable that I would compare my day trip to the island’s more popular namesake: the Galapagos. Countless Attenborough documentaries, Darwin’s explorations and most painfully, travel brochures prior to my flight, had together conjured up images of lizards, ancient giant tortoises and unique breeding colonies that I could both hike and swim through. Yet despite all this, Peru’s islands impressed. On a bang-for-your-buck ratio its accessibility and high concentration of wildlife not only surpassed my already high expectations, but also dealt up larger species than anything I caught sight of in the Amazon. Peru’s Ballestas Islands may not quite be the Galapagos, but as Darwin quite rightly ventured; where else on earth is? This sounds like an ideal place for nature lovers minus the price tag of the Galapos. Glad you took advantage of it. We’ve not been to Peru, but we have been to Ecuador twice and did a three day package to the Galapagos. It really was a trip of a lifetime for us. Ah I’m jealous of your Galapagos adventure Lynne! One day I’ll get there. Peru is still one of my favourite countries to visit – for its diverse landscapes and mixture of history, outdoors activities and good food!